Get ready to travel through another dimension, not only of sight and sound but of mind. CBS All Access submitted new trailers for the first two episodes of Jordan Peele’s ‘The Twilight Zone’ reboot, featuring Kumail Nanjiani and Adam Scott. In ‘The Comedian’ episode, Nanjiani stars as a stand-up comedian who encounters an ominous man (played by Tracy Morgan), who promises laughs and success. But it seems that all comes at a price. Scott stars in a new version of a classic ‘Twilight Zone’ episode titled ‘Nightmare at 30,000 Feet.’ The 1963 version of the episode saw William Shatner portray a man who sees a mysterious creature outside his plane. Unfortunately, nobody believes him because it’s his first flight since suffering a nervous breakdown on a plane six months ago. 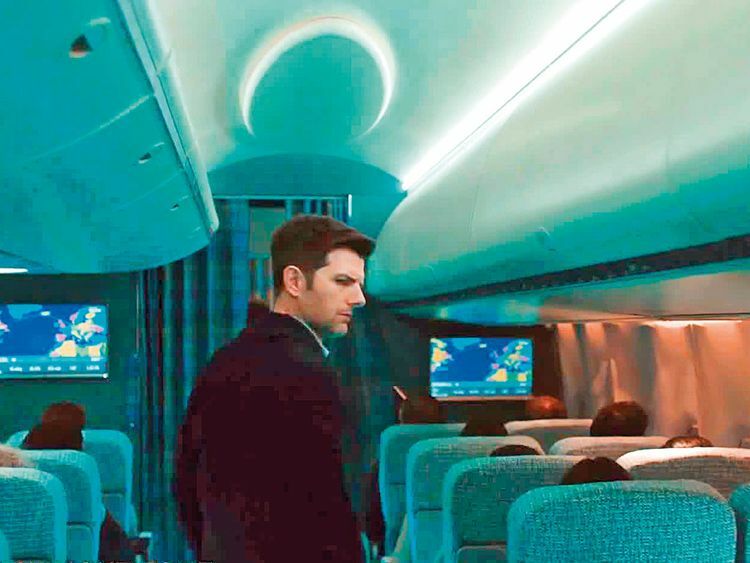 Peele’s reboot looks as if it has incorporated many of the horrors of today’s airline nightmares. The original version of ‘The Twilight Zone,’ created by Rod Serling, premiered on October 2, 1959, on CBS and aired for five seasons. Peele will host and narrate the reboot and serve as executive producer, along with Simon Kinberg, Win Rosenfeld, Audrey Chon, Carol Serling, Rick Berg and Greg Yaitanes. Other previously announced guest stars of the new ‘Twilight Zone’ include John Cho, Sanaa Lathan, Jessica Williams, Steven Yeun, Taissa Farmiga, Rhea Seehorn, Allison Tolman, Ginnifer Goodwin and Greg Kinnear.